Janitorial | Morris Maintenance Inc. Contact us for a FREE estimate on our janitorial services for your business today! Looking for reliable janitorial services for your offices, retail store location or common areas? 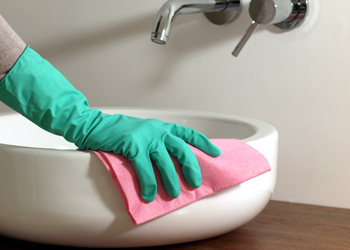 Let Morris Maintenance keep things clean and tidy, with our professional janitorial services. When we visit your business, the first thing we ask is what YOU want to have done. Then we design a program based on your unique needs. Whether you need to keep your reception area organized and dust-free, need the bathrooms cleaned on a nightly basis or want us to take care of vacuuming, dusting and window cleaning each week, our janitorial services are completely flexible. We can handle cleaning in retail areas, bathrooms, lunchrooms, warehouse offices - just about any place that needs to be cleaned regularly. Feel free to customize our services to meet your needs perfectly! The condition of your flooring says a lot about your business. Get more life out of your flooring with professional floor maintenance from the experts at Morris Maintenance! Today's flooring can be complicated. Different types of floors require different types of maintenance to keep them looking their best. At Morris Maintenance, we've been maintaining flooring for commercial and residential customers for over 60 years. Whether you need weekly buffing and waxing or complete floor care for marble, ceramic tile, vinyl or hardwood, our experienced floor technicians understand your floor's unique needs. We can design a maintenance program that keeps your floors looking great year after year. 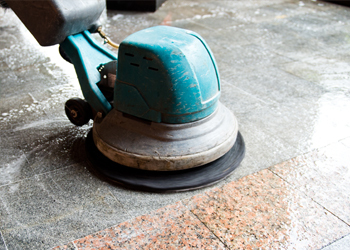 Contact Morris Maintenance for details about our floor care services!